The Dead Sea is a salt lake whose banks are more than 400 meters below sea level, the lowest point on earth. Its famously hypersaline water makes floating easy, and its mineral-rich black mud is used for therapeutic and cosmetic treatments at many of the hotels at the Dead Sea in Jordan. The Dead Sea is blessed with warm weather throughout the year, which makes it the perfect location for a destination wedding all year round, particularly in the spring and fall seasons. Dead Sea Hotels, located on the shores of the Dead Sea in Jordan, offer magnificant properties and a an array of great venues that are perfect for small weddings and weddings of up to thousands of guests. Whether it's the famous village-architecture styled Movenpick Dead Sea, Marriott Dead Sea, Kempinski Dead Sea, Crowne Plaza Dead Sea or the newly opened Hilton Dead Sea, Dead Sea hotels offer abundant options and exquisite service for a dream wedding fit for royalty. here for a full list of Hotels and Resorts at the Dead Sea. Kempinski Dead Sea is the most luxurous hotel at the Dead Sea. Theit team is always eager and ready to make that dream of the day you have imagined come true. 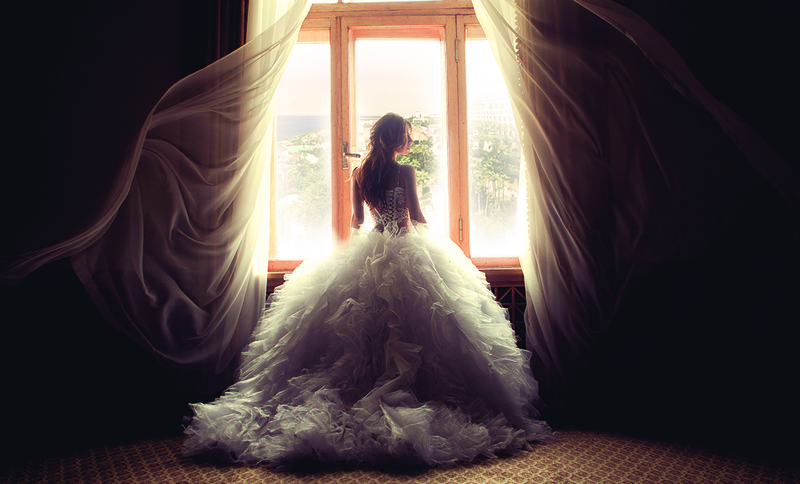 With 5 unique locations and multi-functional venues, Kempinski Ishtar is the perfect place for your special day. For an indoor wedding the Sacrament Ballroom combines opulence in style with an equally rich roster of functionality. It can seat up to 600 guests. 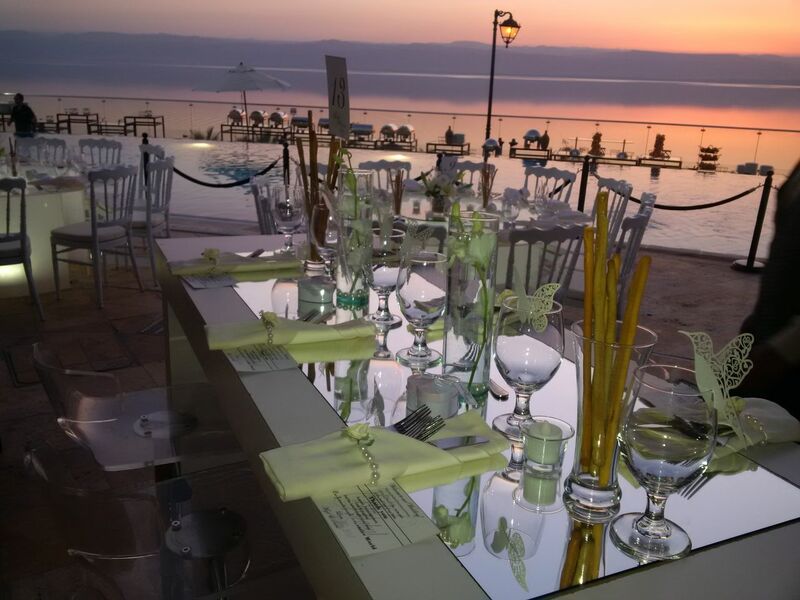 If you're looking for an outdoor venue to celebrate your special day while watching the sun set over the Dead Sea, look no further than the Kish Terrace. 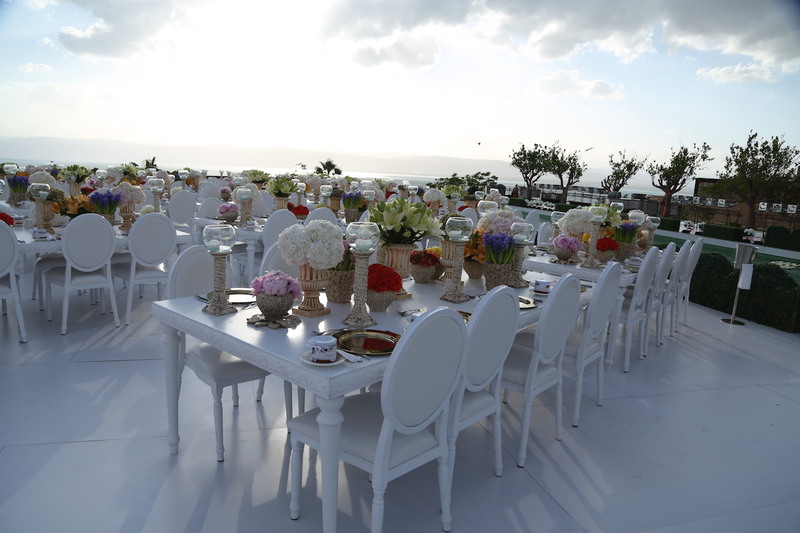 Accommodating up to 600 guests, it is the ideal place to impress your invitees, may it be with the scrumptious food prepared by their talented culinary experts, or the beautiful decorations that will complement the spectacular views of the Dead Sea. You can download the Wedding Brochure from here. When natural beauty mingles with architectural creativity, you witness a once-in-a-lifetime experience. Only few places can offer you this precious opportunity. At the Akkad Infinity Pool of the Kempinski Dead Sea, we promise you an unforgettable wedding ceremony complemented by culinary talents and infinitely amazing views of the Dead Sea that could accommodate up to 300 guests. Crowne Plaza Dead Sea Resort & Spa is a 50 minute drive from Queen Alia International Airport and 40 km away from the Capital Amman. The resort offers 420 guestrooms & suites, 1200 m2 of events ballroom and facilities, a heated pool and great outdoor facilities to hold a wedding at. The Mövenpick Resort & Spa Dead Sea is found in a traditional village setting nestled amongst lush gardens that serve to restore your well-being and balance. Set on the northern shores of the Dead Sea, the resort is an oasis of tranquility. Beautiful weddings are held at the amphitheatre and other outdoor areas or in the main ballroom. You can rely on an experienced team to ensure your wedding is a memorable one. A picture perfect location on the sandy shores of the Dead Sea, the Marriott Dead Sea showcases several elegant wedding venues. You can celebrate your wedding in the exquisite Vartanii Ballroom, which can accommodate up to 400 guests, or outdoors around the swimming pools, on terraces overlooking the serenity of the Dead Sea, such as the terrace of the Fishing Club Beach Bar that can seat up to 800 guests. 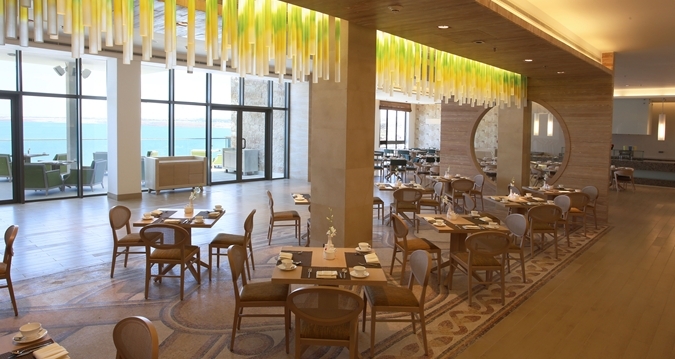 The Hilton Dead Sea Resort & Spa is the newest hotel at the Dead Sea. Plan your wedding around the swimming pool, make use of one of the grand boardrooms or enjoy the magnificence of the adjacent King Hussein Bin Talal Convention Centre managed by Hilton. The award-winning 3-story center is a state of the art facility that ads royal glamour to your wedding. At Hilton, they will provide you with flexible space, personalized service and a professional team to take care of every detail of your unforgettable celebration.